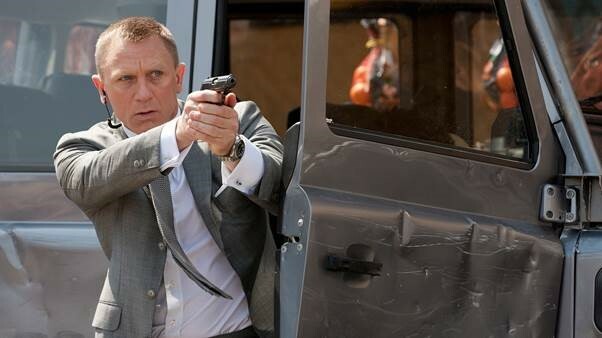 The 24th James Bond film has just hit screens throughout the UK. Lead actor Daniel Craig will appear in his fourth performance as Bond, where the infamous spy experiences his first encounter with the global criminal agency, Spectre. To coincide with the release of Spectre, and for the first time ever, Bond’s iconic limited edition Omega Seamaster watch is available for purchase. Oscar-winning costume designer Lindy Hemming was the lady responsible for casting 007’s watch in the 1995 Bond film“Goldeneye”, in which he wore an Omega watch. “I was convinced that Commander Bond, a naval man, a diver and a discreet gentleman of the world would wear the Seamaster with the blue dial,” she commented, and she was right! Since “Goldeneye”, the fictional character has worn different styles of Omega timepieces on his wrist; however they have never gone on sale, until now. 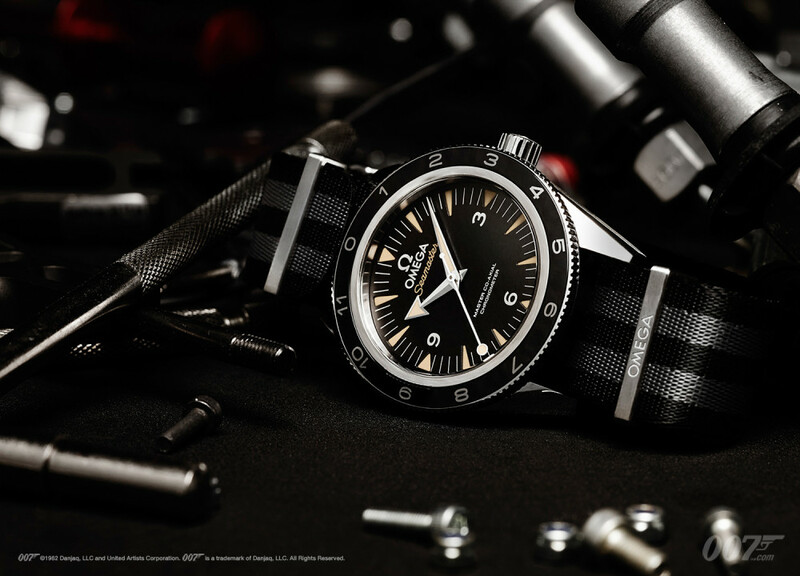 The latest Omega Seamaster 300 “Spectre” watch is being sold exactly as you’ll see it on Daniel Craig’s wrist in the film, with only 15,007 of this limited edition watch being produced. The watch itself is based on a 1950’s classic, powered by an Omega Master Co-Axial caliber 8400 movement and a striped black and grey NATO strap – a strap that is reminiscent of Bond’s original NATO strap worn in “Goldfinger” and “Thunderball”. The timepiece is also accompanied with the famous 007 gun logo engraved into the metal strap holder. An unusual feature the timepiece delivers is a rare “lollipop” central seconds hand, while the numbers on the bezel go from 1 – 11 and then a 0, instead of the number 12 on its striking black dial. Similar to the original Omega Seamaster 300 which can be found and purchased in many watch retailers such as Watches of Switzerland – the watch also includes a broad arrow hour hand and recessed triangular hour markers to add to the drama. The limited edition model draws its inspiration from the Bond family coat of arms, which is visible on the central seconds hand and interlocked together to create a dynamic pattern on the dial. The stainless steel case is 41.5mm in diameter and is water resistant up to 150 meters. The actual case itself is just as impressive as the watch. The back features the ‘Spectre’ film title engraved as well as its own unique three number codes (out of 7,007 timepieces). With Spectre out now in cinemas, we will all finally be able to see where and when Bond wears the Omega watch. From what has been released on the trailers so far, the watch seems to appear in many of the scenes, along with the Omega Seamaster Aquaterra as Bond’s second choice watch. This timepiece has also appeared in other James Bond movies in the past including ‘The World Is Not Enough’ and ‘Die Another Day’. With its sleek design and suave appeal, along with the elegant style and look, it’s only right that such a man of Bond’s status and persona is an iconic representative of the popular, chic Omega watch.